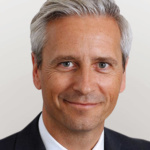 Guy Grainger is EMEA Chief Executive at NYSE-listed global real estate services company JLL. Overseeing over 12,000 employees across 80 offices, he sits on the Global Executive Board and is also the global Executive sponsor for Marketing. Previously JLL’s UK CEO and with a background advising retail companies on their real estate strategy, he has worked closely with Britain’s biggest businesses and the world’s largest retailers. Guy is also Chair of the Circular Economy Taskforce at responsible business organisation Business in the Community; sits on the policy committee of the British Property Federation; and is an established media commentator on issues facing the built environment, society and the environment. He is an alumnus of the London Business School Senior Executive Programme, and amateur triathlete in spare time.